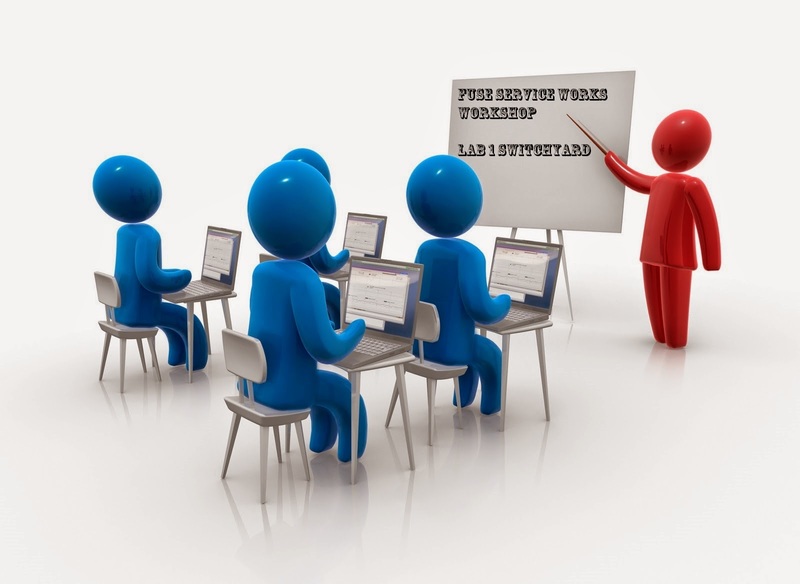 Our Fuse Service Works workshop continues this week. 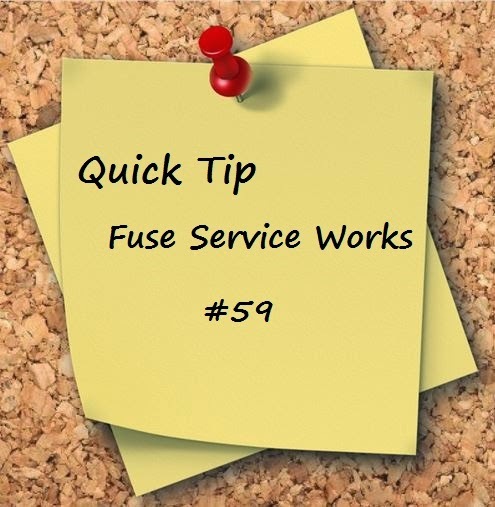 The workshop is designed to get you started quickly and easily on a project with Fuse Service Works. We will go through the concepts and components of Service Component Architecture, Service Lifecycle Management and Business Transaction Monitoring. Today we will go through building the Switchyard application. The workshop series will be split into five postings and will concentrate on creating the switchyard application, moving the deployment through Service Lifecycle Management from development through production and monitoring the services through the Business Activity Monitoring. The Home Loan Application will be our application that we will use during the series. Now onto Part 3 of the Fuse Service Works Workshop. 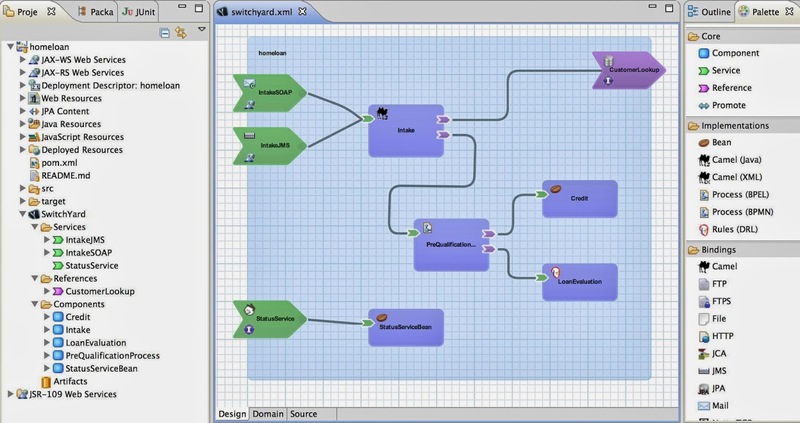 SwitchYard is a component-based development framework focused on building structured, maintainable services and applications using the concepts and best practices of SOA. It works with Apache Camel to provide a fast, simple, flexible integration runtime with comprehensive connectivity and transports. A uniform application model augments Apache Camel, joining Java EE, BPM, rules, orchestration, and routing into a cohesive development model and runtime. Common functionality and cross-cutting concerns - validation, transformation and policy - are isolated from business logic and handled declaratively. 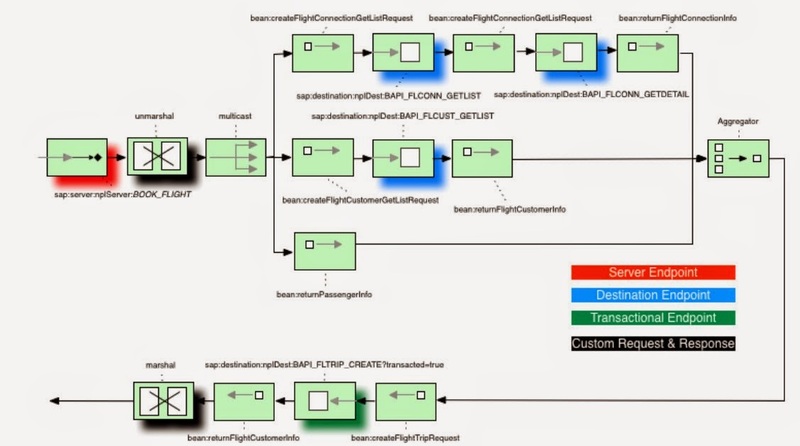 This ensures consistency and eliminates duplication, offering developers a clear view of the structure and relationships of services in an integration application. Now on to Home Loan Application. Our Lab will be in 7 steps. Let's import the lab 1 project and introduce key editor concepts. 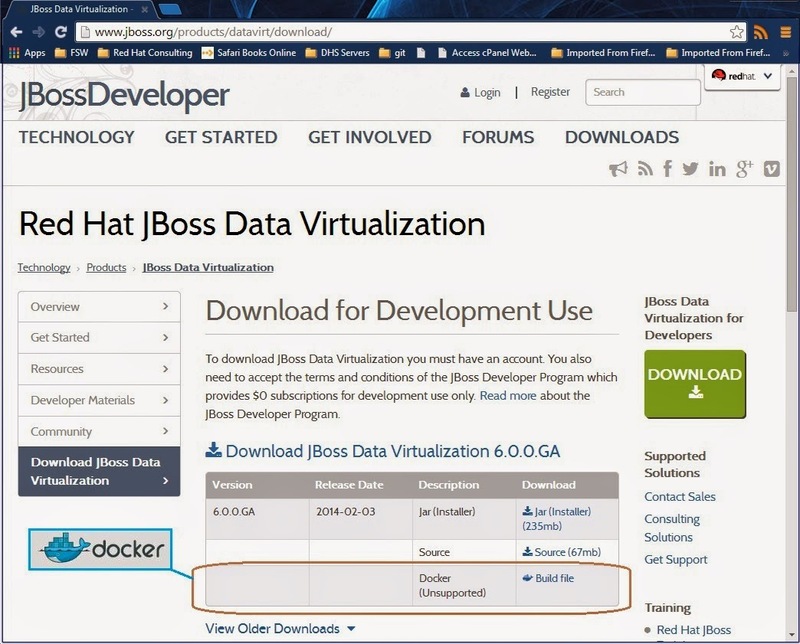 First lets start JBoss Developer Studio. Next we want to select a workspace such as the one shown below. The example shown here was used in the Summit 2014 lab. Next let's import the existing lab 1 project. NOTE: Please make sure that you read the Gotchas from the lab environment setup. Navigate to the location of lab1 and make sure the pom.xml is checked for org.switchyard.training.summit2014.lab1. This is making the assumption you have cloned the repository from github (https://github.com/jboss-switchyard/learning/tree/master/summit2014). The lab1 folder contains the source. After importing the project go to the Project Explorer in the left frame and expand the lab1 project. Let's first look at src/main/java. Switchyard allows you to unit test individual services in your applications as you build it. For example Step1Test contains test methods which invoke CreditService directly to verify that it's behavior matches requirements. Now let's examine the Button Bar. The button bar is really convenient when interacting with the visual editor. Just hover over the portion of the diagram you want to interact with and choose an option from the button bar. This image provides a key to the more frequently used buttons on the button bar. The properties button is used most by far, so definitely make a note of that one. If the other buttons don't make sense now, don't worry they will soon. Next Week we will continue with Step 1. Red Hat and PrismTech have announced their collaboration on IoT this week. PrismTech has become a Red Hat EMEA Advanced ISV Partner which enables PrismTech to embed Red Hat JBoss Fuse as part of its Vortex Intelligent Data Sharing Platform for the Intenet of Things(IoT). This will Provide customers with a robust, flexible and easy to use platform to connect IoT applications, data services and devices. JBoss provides the foundation and infrastructure to enable for the Internet of Things to (a) reliably, safely and efficiently collect information (b) Integrate the information and (c) Analyze the information. PrismTech’s Vortex is an efficient, secure and interoperable device-to-device and device-to-Cloud real-time data-sharing platform with more than 20 configurable end-to-end Qualities-of-Service (QoS). Vortex Gateway plans to leverage Red Hat JBoss Fuse and its support for multiple protocols (MQTT, XMPP, AMQP, JMS), support for more than 100 connectors, and support for integrating with proprietary and Web Technologies such as W3C Web Services and RESTful Web Services, to seamlessly integrate with applications, services, and devices. I have been working more with Docker and used the Docker images for the Fuse Service Works workshop for APAC RHTE. Docker gives us the capability to easily layer and/or link containers for easy to run demos. 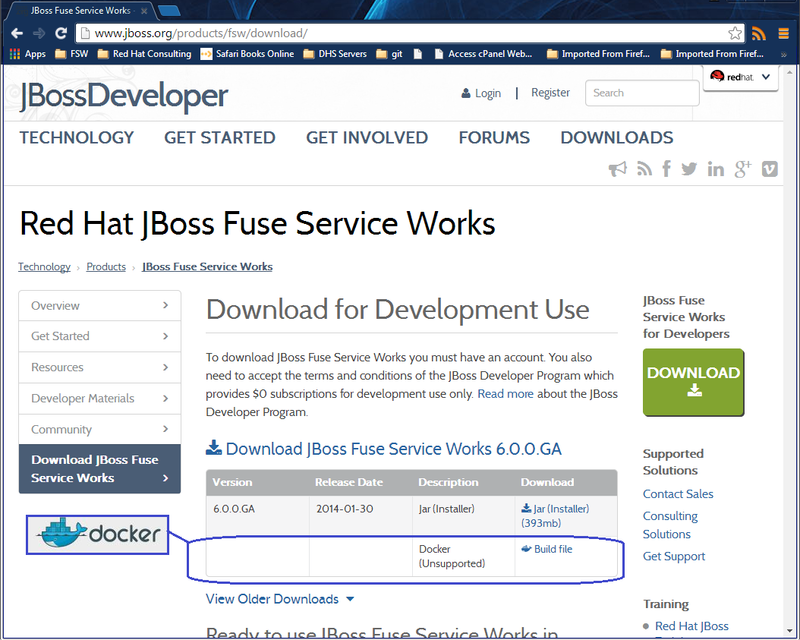 We have added a docker build file for Fuse Service Works on http://www.jboss.org/products/fsw/download/ in the download table. This is not a supported download but gives you an example to start using to become familiar with Docker. Keep watching for future updates on Docker and Fuse Service Works. This week was an awesome week at the Red Hat APAC Tech Exchange. More details are at apactechexchange.com. One of my sessions for Day 3 was a presentation and Demo on Gain Better Insight from Big Data Using JBoss Data Virtualization. Any feedback on the presentation is welcome so please send me an email or contact me on IRC at kpeeples. This week was an awesome week at the Red Hat APAC Tech Exchange. More details are at apactechexchange.com. One of my sessions for Day 3 was a presentation and Demo on Fuse on OpenShift. Any feedback on the presentation is welcome so please send me an email or contact me on IRC at kpeeples. This week was an awesome week at the Red Hat APAC Tech Exchange. More details are at apactechexchange.com. One of my sessions for Day 2 was a 2 hour workshop on Fuse Service Works which includes using Docker. It is hands on so take a look and give us some feedback so we can improve the workshop. Read through the presentation and then get started with the FSW Workshop located on github. Send me an email or contact me on IRC at kpeeples. This week was an awesome week at the Red Hat APAC Tech Exchange. More details are at apactechexchange.com. One of my sessions for Day 2 was a 2 hour workshop on Data Virtualization which includes using Docker. It is hands on so take a look and give us some feedback so we can improve the workshop. Read through the presentation and then get started with the DVWorkshop located on github. Send me an email or contact me on IRC at kpeeples. Data is the life blood of the enterprise. Do you feel comfortable with the amount of control you have over all of your data? Do you know who’s accessing it and when? Can you centrally set and control a consistent level of access across all data sources? If not, data virtualization can help. New data sources are constantly being added, and the volume of data keeps increasing. Data virtualization lets you easily create departmental or audience-specific data marts so that applications have access to only the data they absolutely need. Because there's no moving or copying of the data required with data virtualization, there's only 1 source of the data to monitor and manage. How data virtualization helps you implement a data firewall for secure data access. How to implement centrally manageable data access policies regardless of data source type. Role-based security, row/column masking, and extensive auditing capabilities. Join Kimberly Palko, Red Hat JBoss product manager, and Blaine Mincey, Red Hat solution architect, to discuss how Red Hat® JBoss® Data Virtualization can provide consistent, secure data access for analytics across multiple, diverse data sources. This webinar includes real-world examples and a live demo. 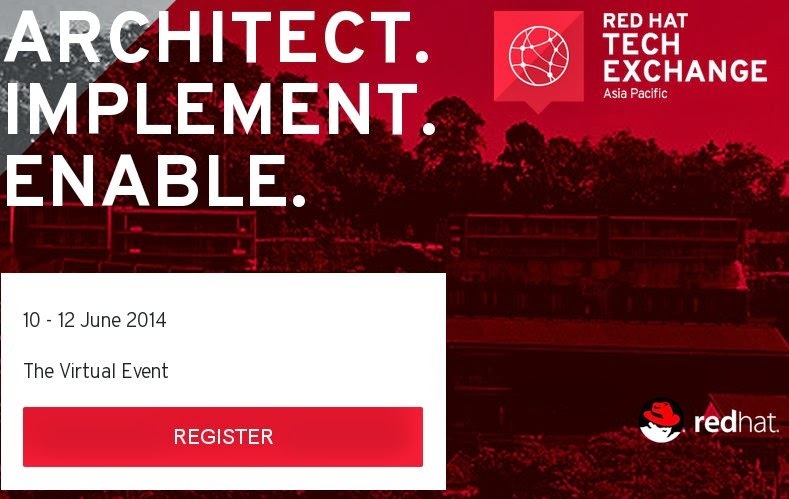 Red Hat Tech Exchange is this week! Yesterday I spoke on JBoss Middleware Security with Picketlink and KeyCloak. I have included the presentation below. We are having a great time at the Red Hat Technical Exchange this week. This year is a little different as it is a virtual event. I will post all of my material as the week progresses. Red Hat and SAP lead customers to solutions in the cloud or on premise, driving excellent performance, scalability, and reliability. We wanted to extend that article and describe how the JBoss Middleware Products - Fuse, Fuse Service Works and Data Virtualization - can be used with SAP which illustrates the collaboration between the two companies and the solutions they provide. We have included a Presentation and Videos that go into this topic more in detail. Camel 2.12 includes the SAP Netweaver Gateway component which is available in Fuse 6.1. The component uses the HTTP Transport and basic authentication. A SAP NetWeaver system account is required. The CamelNetWeaverCommand Mesasge Header is used by the producer which is mandatory. Also the demonstration from the video in the references below illustrates a Flight Booking Scenario. 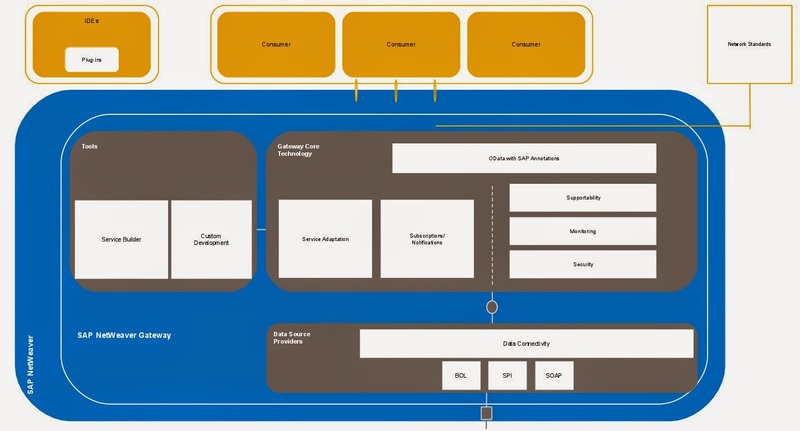 Use Data Virtualization with SAP NetWeaver Gateway or Enterprise Services when Data integration is needed. Use the Fuse SAP Camel Netweaver Gateway Component when a ESB and/or Messaging is needed.